Nyetimber is one of the true pioneers of the English sparkling wine category, one to rival the very best in the world. As the very first producer of English sparkling wine, Nyetimber crafts wines made exclusively from Pinot Noir, Pinot Meunier and Chardonnay. 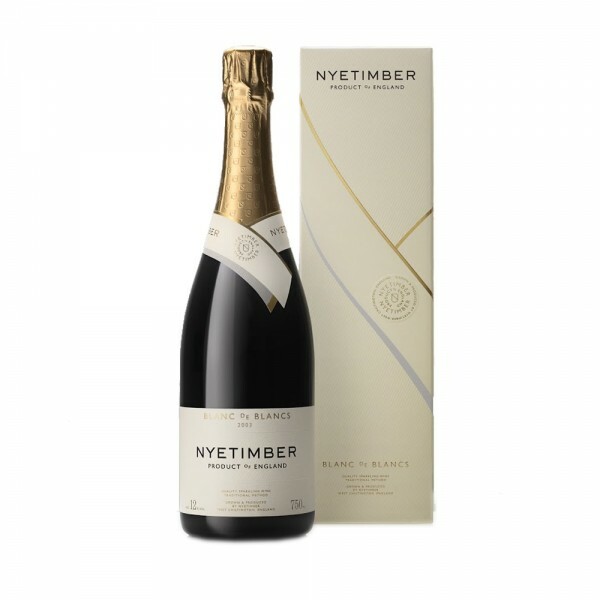 Nyetimber's Blanc de Blancs is an English beauty with aromas ofl nectarine and tangerine, and a pleasing biscuit complexity. It's beautifully elegant as a sparkling wine and refreshing to drink with a long finish. Nyetimber planted its first vines in 1988 and today, the House is regarded as one of England's finest wine producers. Owner and CEO Eric Heerema and winemaker Cherie Spriggs are committed to producing wines of a Grande Marque standard right here in the UK. Each bottle of Nyetimber is crafted from one hundred percent estate-grown grapes.